Asliterary critics and enthusiasts, we paint with words. 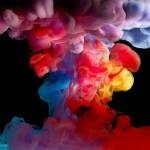 We create images with the flow of our colorful vocabularies, and each drop falls onto a black canvas. We allow our stories and experiences to light up the darkness simply because we can. This is our craft. Our fingers hold pencils, pens, or tap away furiously on key boards at odd hours of the night. We unleash courage and strength to write, to speak, to think, and to dream. For without our dreams, we cannot build ideas from dust. Such is our power. This is our craft. Literature exists because artists take courage in their voices to compose something unorthodox, stimulating, and beautiful. We compose ourselves.